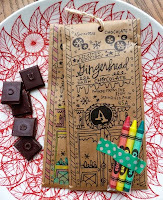 Today's choice: the Gingerbread Dark Chocolate bar from bean-to-bar chocolatemaker Shawn Askinosie, of Askinosie Chocolate (Springfield, MO). This bar tasted "darker" than other chocolates featured this week, in part due to the single origin cacao selected. 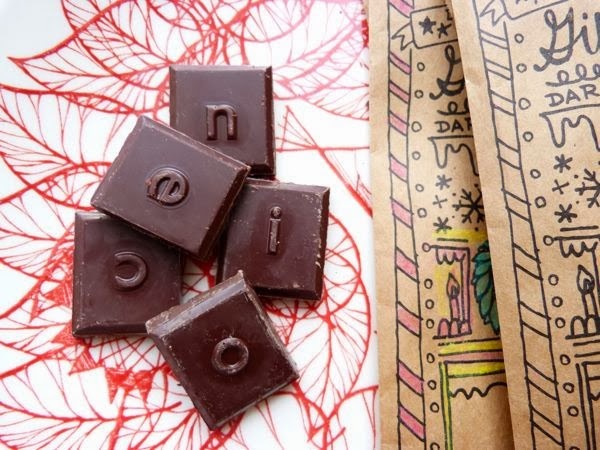 The chocolate was made with (Trinitario) cacao beans from Tenende, Tanzania; "minimally processed" and organic cane sugar; cocoa butter (from Tanzania beans); and spices: "ginger, cinnamon, all spice, nutmeg, clove." "And I had but one penny in the world. Thou should'st have it to buy gingerbread." 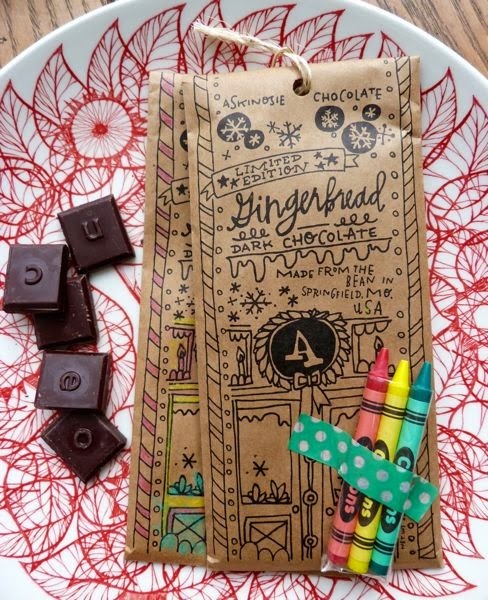 If Shakespeare had been better acquainted with hot drinking chocolate with gingerbread spices (the more likely exposure to cacao in his day), he might have penned a snappy, quotable tribute to the cacao bean.